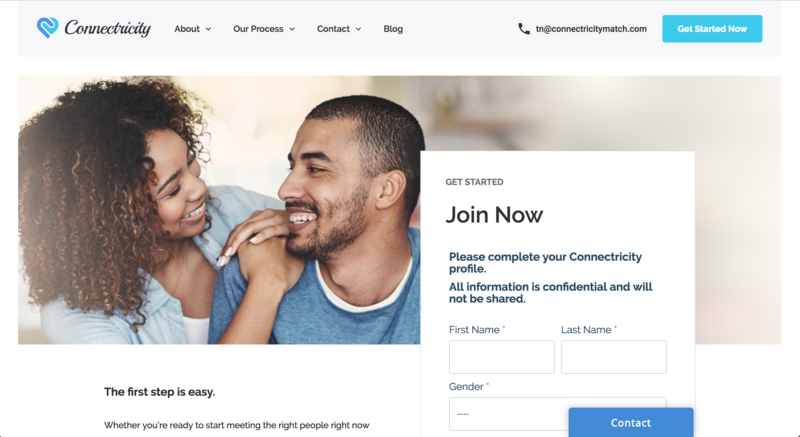 Here is the latest web project designed by SmartMatchApp team that is successfully generating traffic and conversion for our professional matchmaking client. SmartMatchApp’s own Web Design, Marketing and Optimization studio, SmartNexStudio www.smartnextstudio.com offers a number of services to help you get more traffic and conversions for your matchmaking business. One of the biggest goals at SmartMatchApp, is to make sure our of our Matchmaking CRM, Software and Web products help our customers work as quickly and as efficiently as possible. And we’re always looking for ways to provide new revenue generating features for our customers! We would be happy to conduct a Personal Demo to determine if it is a good fit for your matchmaking operations! To learn more about this breakthrough services, please Contact us to schedule a Personal Demo.